The marvelous Germanic legends of the Nibelungenlied—The Song of the Nibelungs—retold especially for children are a wonderful way to introduce young people to an enthralling part of European culture and heritage. The Nibelungenlied is an epic poem in Middle High German, drawn from ancient Germanic heroic motifs (the “Nibelungensaga”), from around the year 1100. 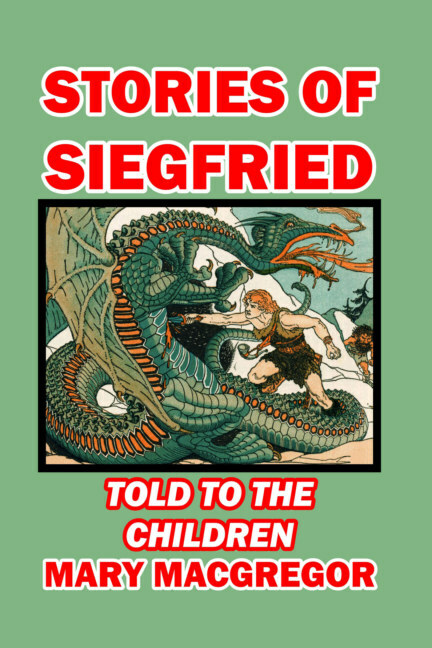 This version tells the complex tale of Siegfried and his life’s adventures, beginning with the time he was hidden away in the care of the dwarf Mimer, his acquisition of the magic sword Balmung, and the slaying of the dragon Regin. As a result of being bathed in the dragon’s blood—except for a small patch on his back—Siegfried became invincible and a great hero-warrior. It continues with the acquisition of his Cloak of Darkness, his wand, his seizure of the dwarves’ treasure, his battle with Queen Brunhild of Isenland and his wooing of the maiden princess Kriemhild. Finally, it tells of his betrayal and death, stabbed in the back by a traitor who had been guided to his one vulnerable spot. Now completely reset and including its original illustrations, this classic work is set to enchant an entirely new generation of readers. Illustrated by Granville Fell.